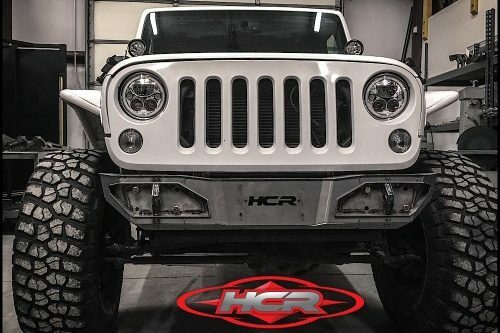 HCR’s proprietary billet, slot and tab design and honeycomb boxed arms are built to withstand the beatings of rigorous off-road riding which achieving the optimal combination of strength and appeal. 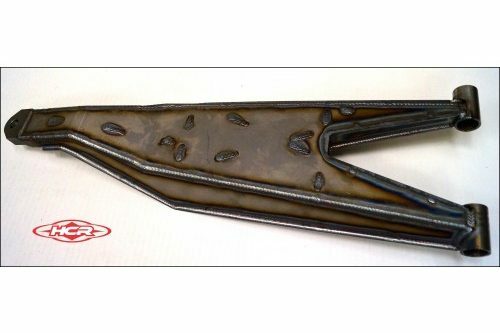 Every external weld is an internal plate structured into the design. 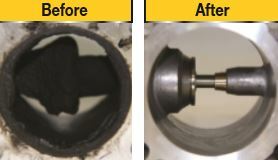 While the cost-effective approach is to run tube ends for ball joints , all HCR kits run a 4130 heat treated billet end allowing all internal and external plating to be attached to this billet eliminating a potential weak point. 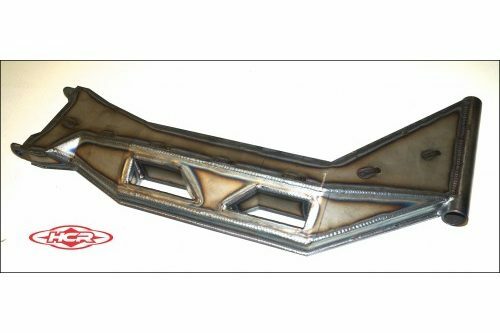 Billets are available in both balljoint and spherical applications. 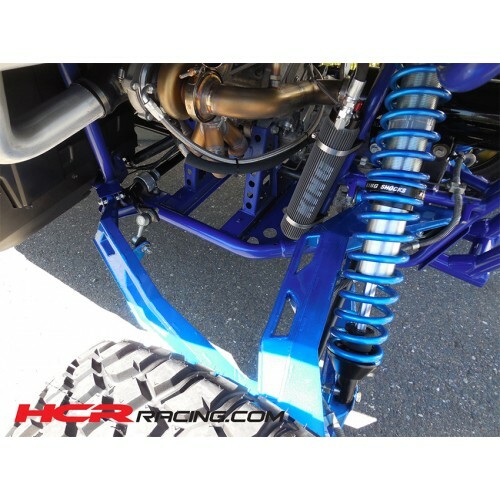 Feel confident in the most demanding terrain with King 2.5 HCR Race Series Shocks with Internal Bypass technology in the Rear shocks and available as an upgraded option for the Front shocks. The shocks provided with this complete system are longer eye to eye, stroke, and custom valved specifically for the geometry of the YXZ system. 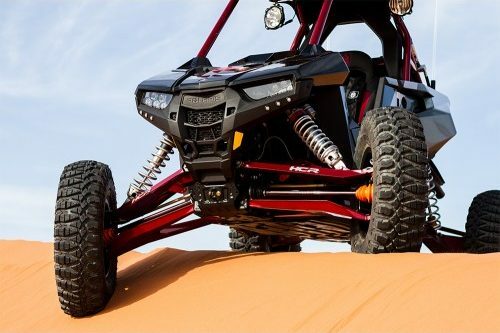 By providing a shock tower and Longer shocks, HCR has achieved optimum performance without compromising motion ratio, minimized shock fatigue, and less compound leverage on the arm preventing further bottoming and damage to components. 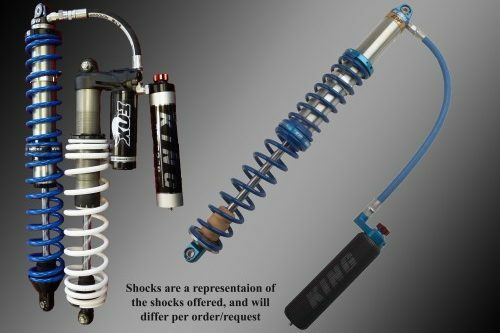 Included with System are King 2.5 HCR Race series shocks; sprung , valved, and tested by the owner of King himself. 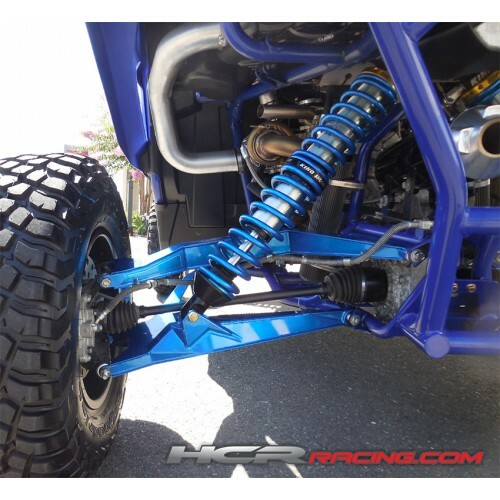 These true off-road shocks have the larger internals than competitors advertised 3.0’s, allowing minimal weight added without compromising performance. 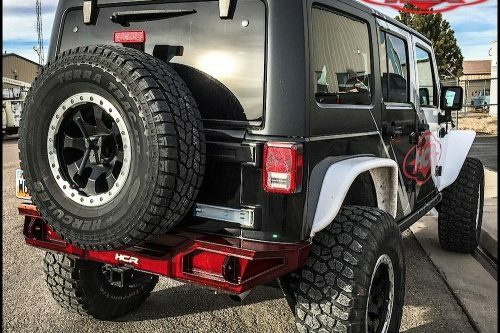 Backed by King, HCR provides a 3 Month tuning opportunity to meet with King technician for a live session if a different valving option is preferred. 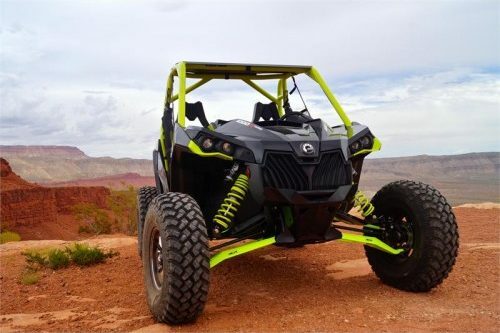 A shock tower is included with every Yamaha YXZ Long Travel Kit. This reduces the amount of compound leverage to achieve a closer to 1:1 motion ration for less shock fatigue. This allows for better valving and lighter spring rates. Chromoly CNC’d suspension mounting points and a bolt on shock tower increase the strength and integrity of the stock chassis. 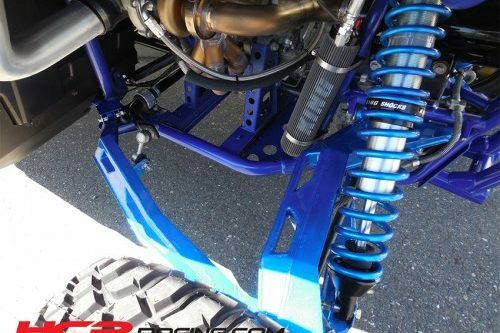 Customized Shock Package for the rear, internal bypass shocks with finned remote reservoirs are included standard with every kit. This needle valve technology can be setup with light valving at ride height to deliver a smooth comfortable ride while still providing substantial dampening force at full compression preventing bottoming out during hard use. 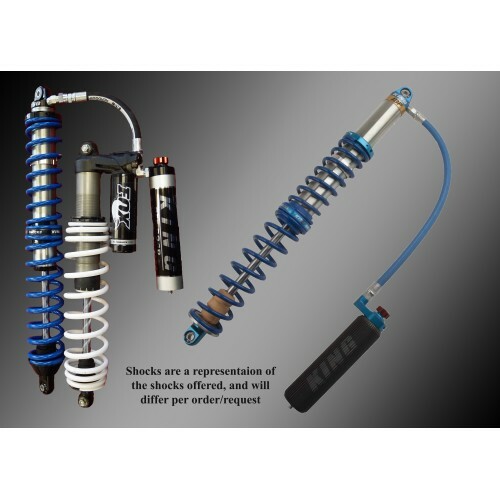 Front shocks are 12″ stroke piggy backs with a soft initial hit and flutter stacks for high speed. 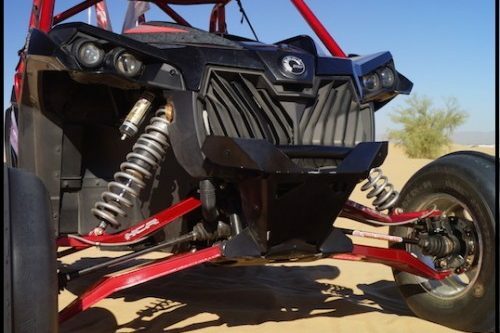 Proper springs are provided to still allow full articulation of all 21″ of travel in both high and low speed situations. These shocks also come standard with billet compression adjusters which allow for 30% adjustment range with a click of a dial. Please note rebound is tuned into the valving and cannot be changed externally as IBP clickers (regardless of manufacturer) only allow 5% external adjustment. The track width has been increased by 4 inches on either side, with a 4 inch longer wheelbase, 2 inches forward and 2 inches back, for added travel and stability. 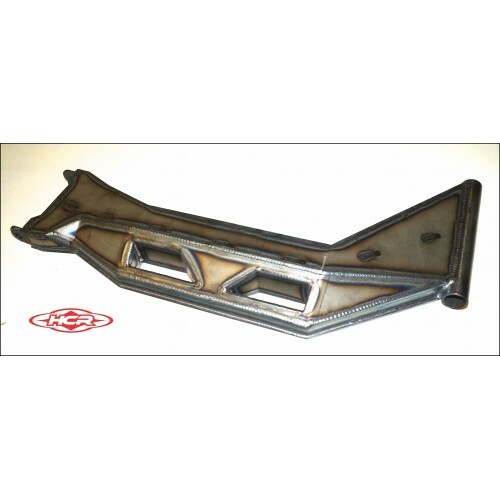 1.25 inches additional clearance has also been added to all arms for added ground clearance. 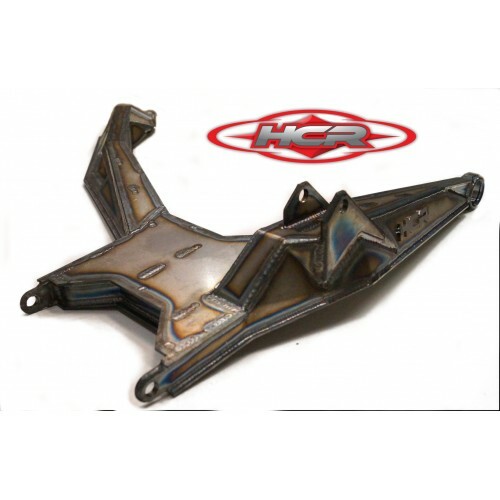 The engineers at HCR were able to produce incredible numbers on the XXZ Kit. 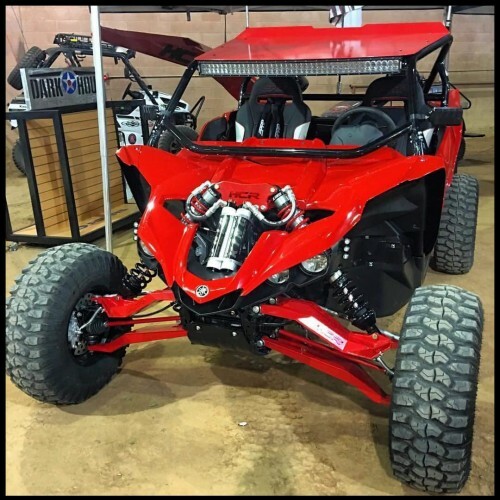 At 20 inches front and 21 inches of rear travel and 4 inches of additional wheel base; the suspension has been completely redesigned. The extensive time in R&D allowed increased travel numbers without interfering with critical characteristics such as bump steer; adding less then 0.3º of change from factory. 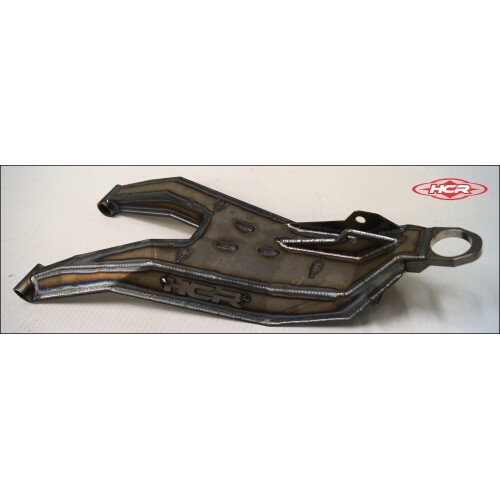 Caster / Camber settings have been embedded into the design of the Suspension eliminating the need for an adjustment heim, which reduces internal structure of the arm and presents a weak point upon impact. 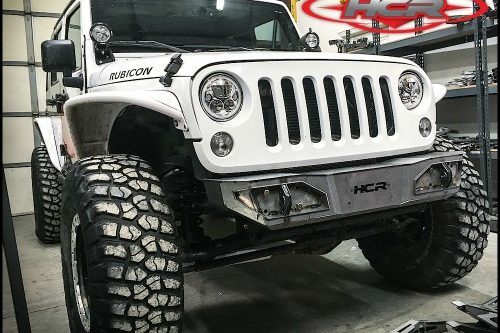 Impressively, HCR achieved a minuscule 0.06º change in caster / camber throughout the front Travel Cycle and 0.00º fluctuations throughout the rear travel cycle. 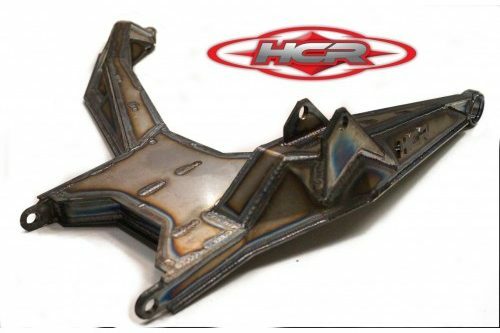 HCR uses the same custom alloy as their popular Elite kit to manufacture the Yamaha YXZ Kit. 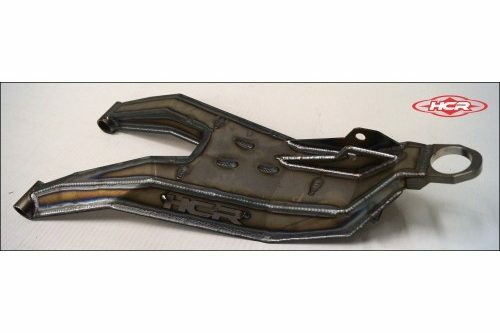 This proprietary material boasts 30% stronger tensile and yield strength compared to 4130 series chromoly. 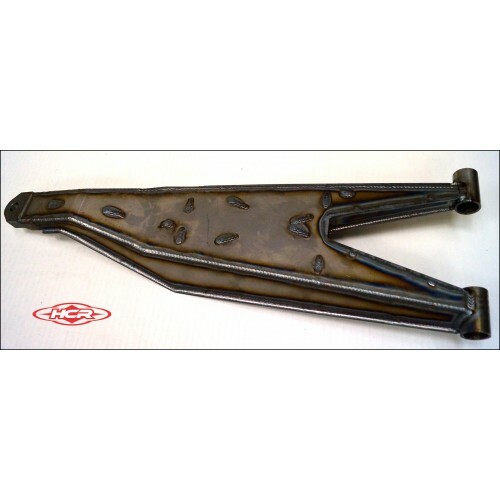 The material goes through several processes and is hardened for better wear resistance and overall strength. 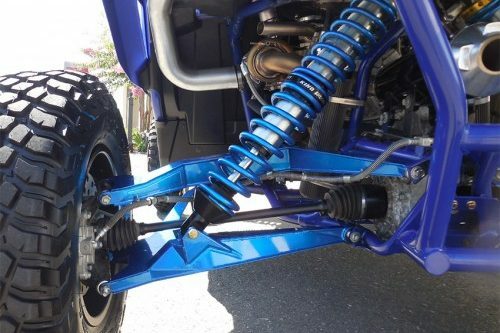 Unique trailing arm inspired design for minimal added weight and increased strength. 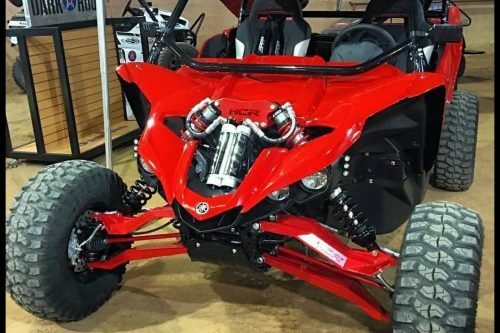 Larger front tube mounts are 1.25” in diameter with Delrin bushings for increased strength and durability. 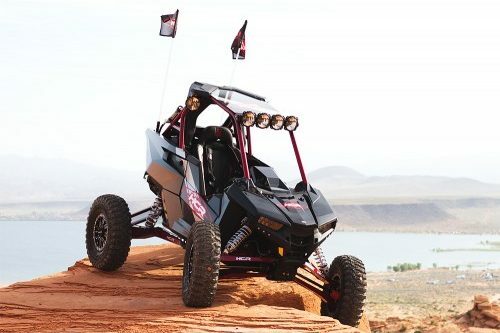 An iterative process is used during each design to simulate and refine the new geometry to match the characteristics of the stock suspension while increasing suspension travel. 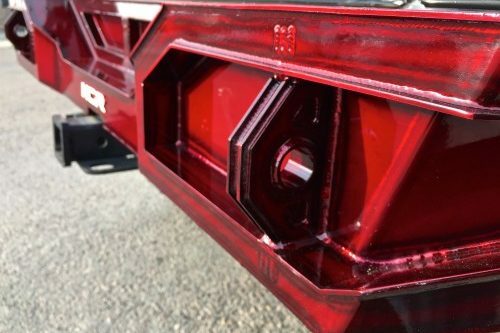 Critical measurements are verified, such as ball joint angle, CV joint angle, and clearance to surrounding parts to ensure no binding or interference.